Cincinnati BMW Service and Repair - Don's Auto Repair Inc.
BMW vehicles are known for being extremely high-performing and advanced in technology. If you own a BMW, you understand the importance of finding an auto repair shop that you can trust will properly handle your vehicle. 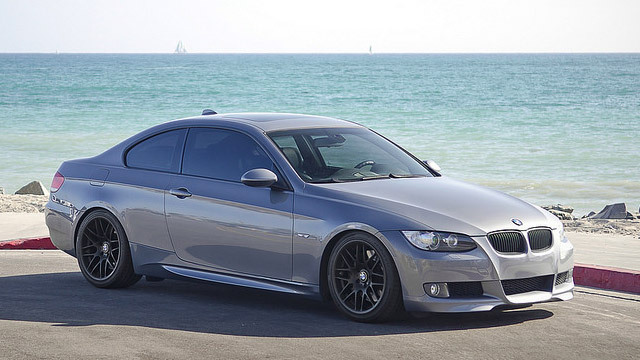 At Don’s Auto Repair in Cincinnati, OH, we are the experts when it comes to BMW repairs and services. Our ASE certified technicians work on all makes and models and can assist with any repair or service needed. Whether you own a BMW in the 1-7 Series, X Series, Z4, M Series, or even a hybrid model, our shop has the experts to handle your vehicle. From major repairs to regular maintenance, our shop does it all. Due to the complexity of BMW vehicles, they require specialized trained and equipment to properly service and repair. At our Cincinnati auto repair shop, we have experienced staff and the best equipment to take good care of your vehicle. We help you maintain a healthy vehicle and keep any warranty you may have by reminding you of when any factory recommended services are soon to be due. As soon as you notice an issue with your BMW or the check engine light has turned on, bring your vehicle into the experts here at our local auto shop. We have the latest tools and computer diagnostic equipment to accurately diagnose and repair your BMW correctly the first time around. After we determine the exact cause of the issue, our staff will discuss our recommendations with you and explain which services are necessary to restore your vehicle back to top working condition. At Don’s Auto Repair in Cincinnati, OH, our family owned and operated auto repair shop has provided the community with trustworthy and friendly automotive repairs and services since 1942 and counting. We offer an outstanding 3 year or 36,000 mile warranty on qualifying repairs and services. We also offer a free shuttle service for local customers and loaner vehicles when available. If you’re looking for professional and honest BMW repairs and services, bring your vehicle into the experts here at Don’s Auto Repair.